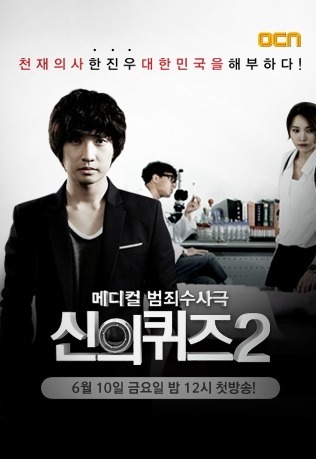 This drama contains stories of medical examiners who examine bodies to solve cases. Evelyn Nov 25 2018 9:09 am Though I love this drama a lot, the episode on psychopaths disappointed me. First, sociopaths are confused for psychopaths and their definitions aren’t given correctly. Secondly, a claim is made that psychopaths are not born but made, which is also incorrect, psychopathy is almost always genetic and they tend to be good manipulators and skilled at creating and controlling their emotions. Sociopaths on the other hand, become sociopaths at a young age due to usually traumas. They have emotions, unlike psychopaths, but they’re not as extreme as a neurotypical’s. And one other thing that the drama got wrong is sociopaths tend to be obsessive. Frankly, I’m a little disappointed and I’m now going to doubt every medical claim in this drama. Tifa Apr 23 2018 12:27 pm It's actually a cool series. Yi Oct 05 2016 11:13 am @Daniel. Many people have ignored your comment. Evidence is that GQ made 4 seasons and that would be impossible without the viewers. In other words, you are one of the few that didn't enjoy it. Also, what's the point in watching sequels if you didn't like season 1 to begin with. Now this is the case that doesn't make sense. Aqila Syafiza Oct 16 2013 3:55 am what is the real name of Jung Ha-yoon? Lorilye Jan 09 2013 12:37 am More Choo Seung-Wook Chaebol! Please! Great character actor. Loved the accent. dallou Jun 06 2012 4:03 pm great drama !! and the couple are so so so cute!! i wonder why the actress is not in season 3 ... so sad they finished the serie in a cute way i wonder she isn't there! anyway i enjoyed the two seasons a lot !!! !